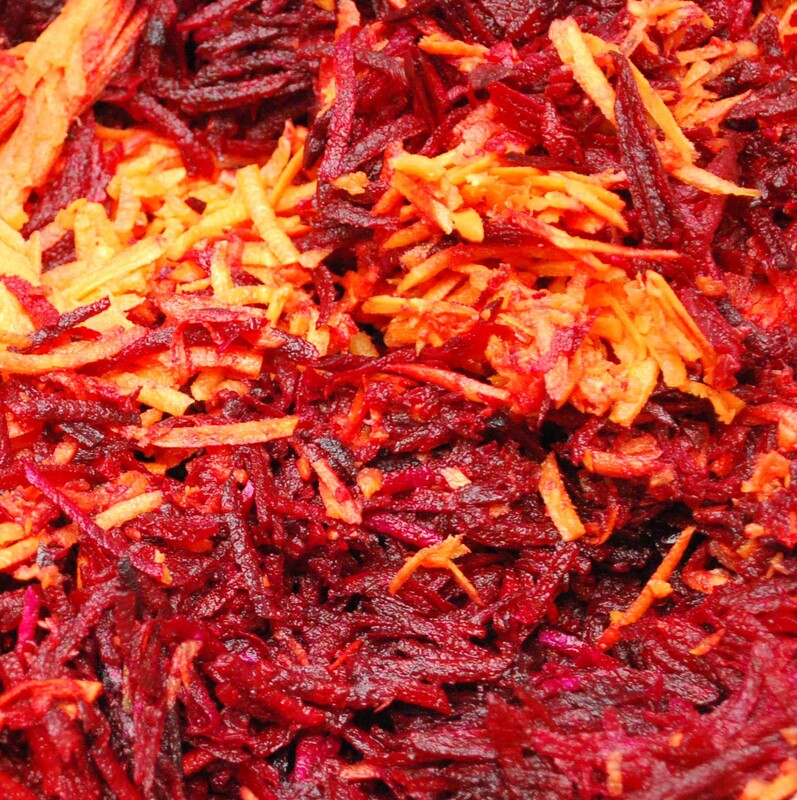 Beets were the number one item on the list of “best foods you are not eating” which first appeared in the NY Times in 2008 (http://nyti.ms/2IATkZ). This incredibly popular article lists eleven foods that are good for you but for some unknown reason don’t make it to the dinner table or into people’s lives. So what is it with beets? Sometimes it’s a matter of the labor involved (the long cooking time and messy peeling process), and is probably why they are so popular in our store. We’ve had beets on our daily menu since we first opened in 2007 and they continue to be a big seller. And now we understand they have become very popular in upscale restaurants too! Beets are related to spinach and chard; the leaves and ribs are all edible and good for you: from the New York Times article, “Dr. 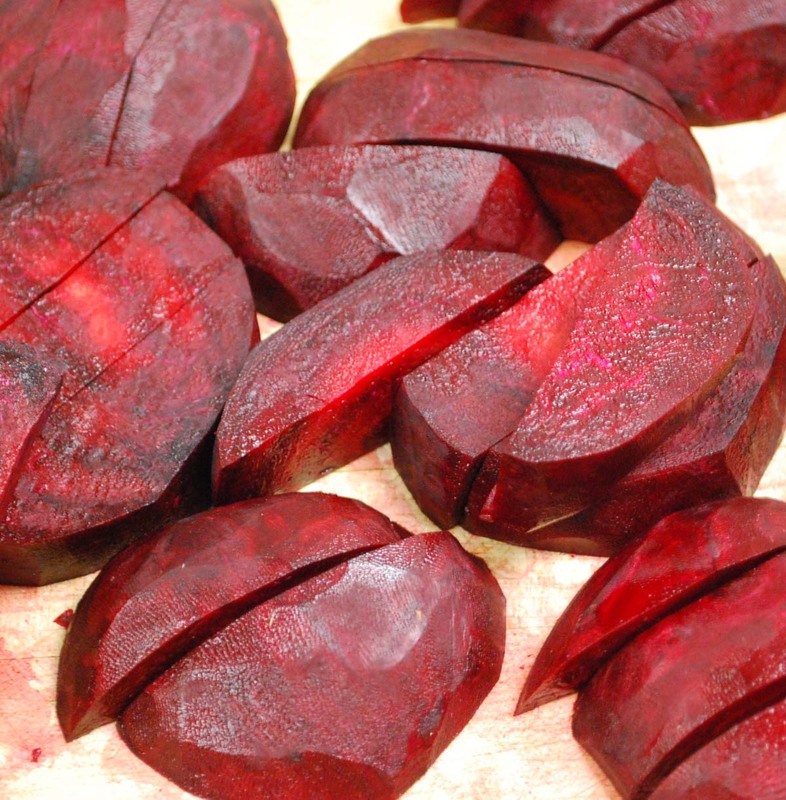 Bowden says, … they are a rich source of folate as well as natural red pigments that may be cancer fighters.” Mostly we boil the beets, peel and cut them, then cover with a vinaigrette/brine seasoned with star anise and clove. They are great oven roasted as well: we parboil them briefly before peeling, seasoning and roasting. Occasionally we have golden beets which are a bit milder in flavor and appeal to those who are not crazy about beets. This week we are making borscht so stop in for a warming bowl of beet soup! Beet recipes: Roasted Beets / Pickled Beets / Sugar Beets / Cooking Beets!!! 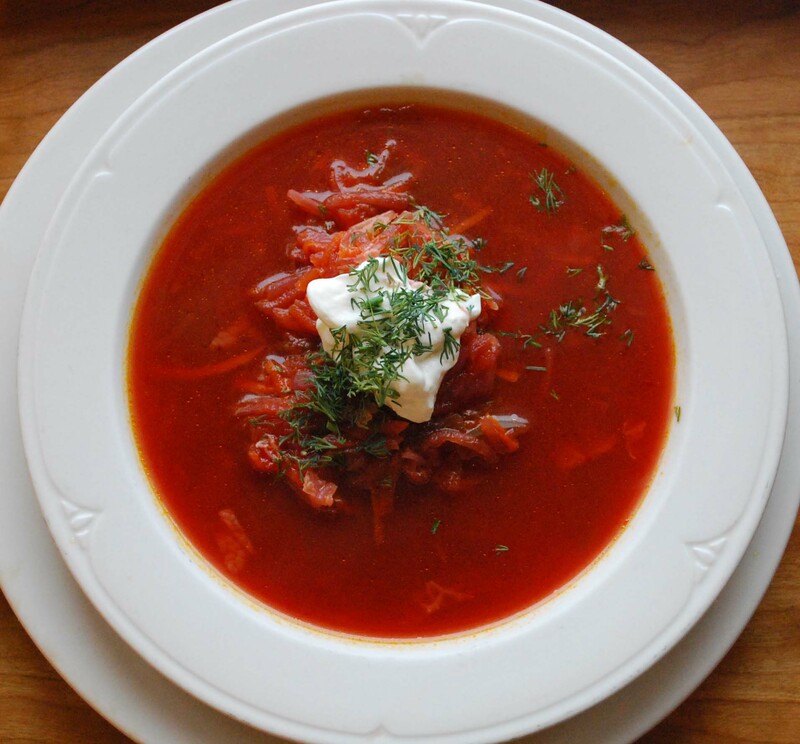 And here is our favorite recipe for Borscht! Another great thing you can do with beets! Sweat the vegetables in the oil, (beets, onion, garlic and carrots) until they release their juices. Then add tomato paste and cook for 2-3 minutes. Add the water, salt, pepper, and diced tomato. 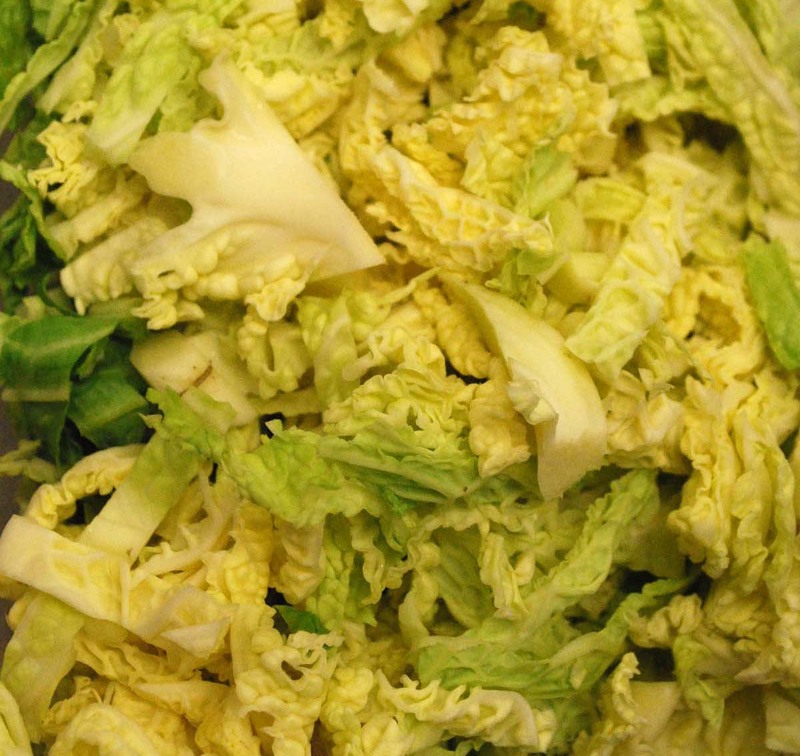 Simmer for 1/2 hour and then add the cabbage and potato. Cook for another 20 minutes, then adjust seasoning. Garnish with the sour cream, dill and horseradish as an option. It can also be chilled and served cold. Serves 6-8 as a first course or 4 as a meal!